There was a TRESemmé commercial that played a lot when I was a teenager... it went something like TRESemmé,TRESemmé Ooh La La. To this day, every time I see a TRESemmé product, I have to sing it a little. Talk about a jingle that sticks in your head for an eternity. 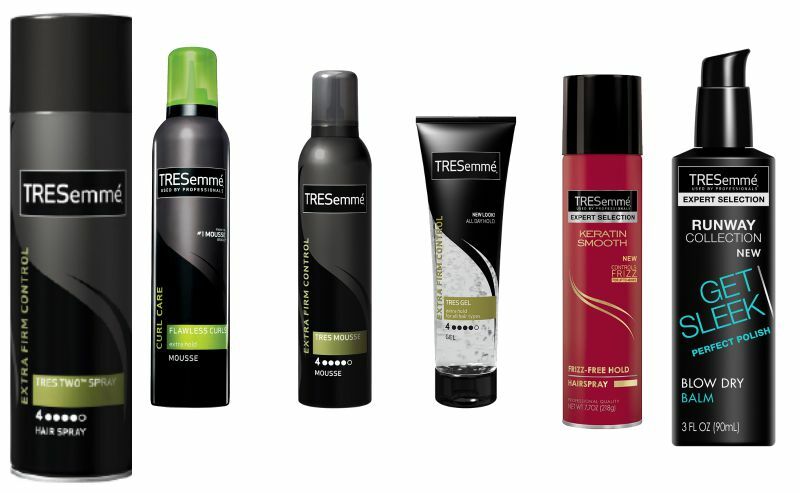 But seriously, kudos to the ad team at TRESemmé for keeping a brand at the forefront of our minds for years + years, in an ever growing beauty and hair care industry. Being that they are a trusted brand for your hair, it should come as no surprise that they are a favorite of the fashion industry. TRESemmé is the official hair care sponsor of New York Fashion Week for the 15th time this year, and to celebrate this milestone, the beauty brand will have a few distinct spaces at NYFW. TRESemmé’s working with a ton of cool partners this fashion week. I am most excited about Rebecca Minkoff and DVF but that doesn’t mean that I am not a fan of Carolina Herrera, BCBG, Hervé Leger, Rachel Zoe, Banana Republic and Misha Noonoo. Not only will they be on site during fashion week, you can access their happenings via their Style Setters series to catch behind the scenes business (the good stuff), professional tips (the really good stuff) and runway footage (the really, really good stuff!). They’ll be your guide to everything TRESemmé, fashion week, hair care and the whole lot! It’s interesting to follow brands in situations like this so I am looking forward to how TRESemmé continues to remain with “the times”! *This post has been sponsored by TRESemmé, but all thoughts are 100% my own.